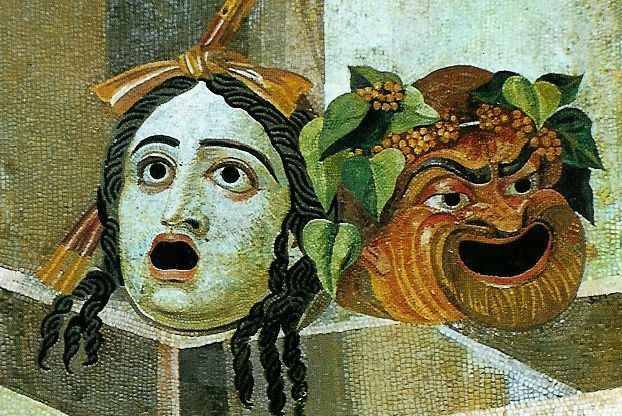 Theatrical masks of Tragedy and Comedy. Mosaic, Roman artwork, 2nd century CE. The piece can be found at the Capitoline Museum in Rome, Palazzo dei Conservatori, first floor, hall of the Horti of Mæcenas. From the Baths of Decius on the Aventine Hill, Rome. Source: File:Roman masks.png on Wikipedia, in public domain.